Automate your savings. 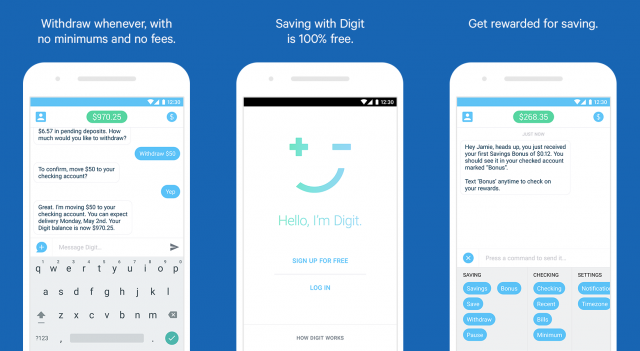 Digit is the free, effortless way to save money without thinking about it. Every few days, Digit checks your spending habits and saves a few dollars from your checking account if you can afford it.